Sunny spring days and bags full of motivation and curiosity – we are ready for a endless number of activities in the upcoming months! Now that the days are getting longer and warmer we can get the most out of our days. Early sunrises give us the chance to go for a run before breakfast and a late sunset gets everyone outside after dinner to sit by the campfire roasting marshmallows or play Volleyball. All of our staff members have their own interest and skills that they want to develop and improve. Kate built a new target and got her own bow; now she wants to improve her archery skills. 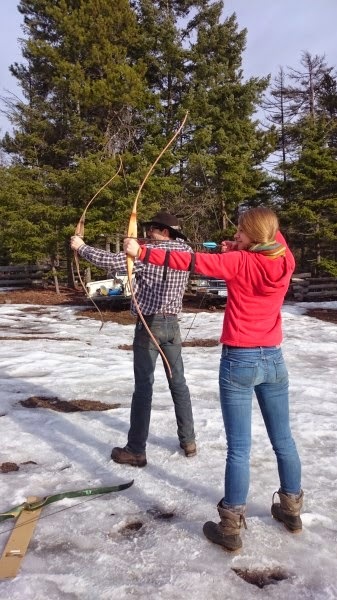 Warm and sunny spring days: perfect circumstances to improve archery skills! Pauline wants to learn how to jump on a horse without a saddle and practices by climbing all the fences as if they were horses. Alina works with our wild horse Ranger and gets Cinnabar ready for horse logging by lunging him every day to train his muscles. 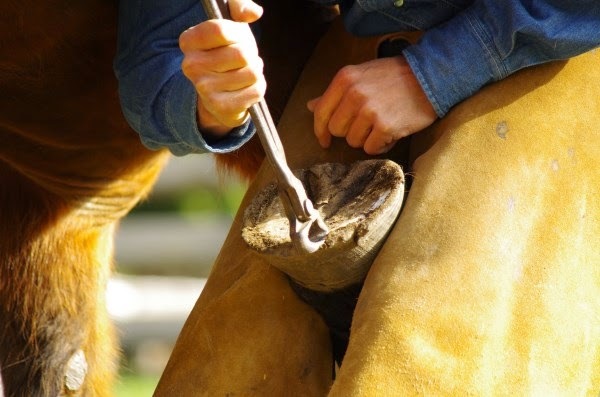 While learning how to pack a horse and trim hooves Marie and Lina get ready for the Guide School. Our esl courses provide a variety of challenges, not just esl English! The sunny days melt the last remains of winter each day. The snow line goes further up the mountains and we get the chance to go for longer hikes and see more wild animals. We have already seen deer grazing just behind the office and the bears will end their hibernation soon so we will hopefully get the opportunity to watch some of these wonderful animals strolling through the mountains in the coming weeks. Everyone is happy and excited to have the opportunity to gain new experiences through our esl courses and as we all know: there will be even more incredible memories made than we can possibly imagine! What new adventure do you have planed? Have you ever tried to use an arrow and a bow, do you want to learn how to drive a skidder or get the chance to watch bears playing with their cubs in the blooming meadows? 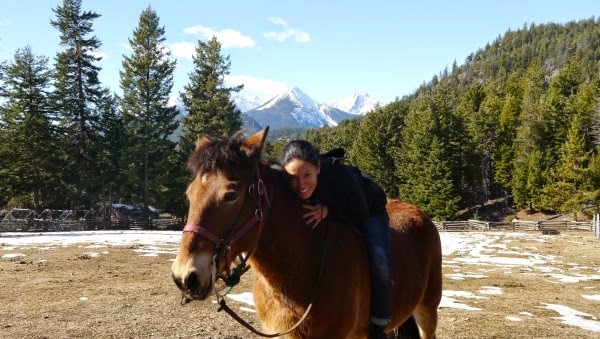 You are interested in horse logging, angling, log cabin building, wildlife watching or want to become part of a Pack-Trip? 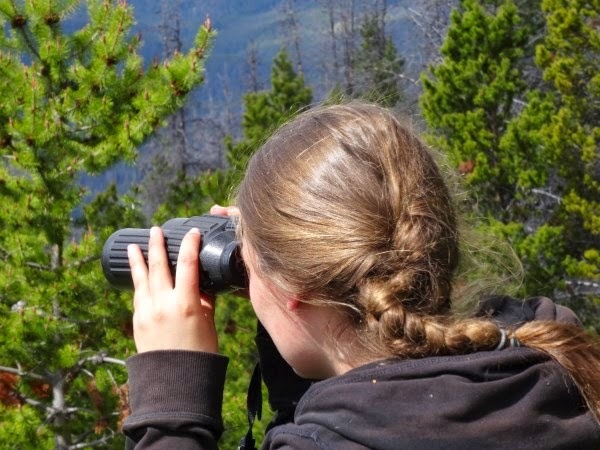 Visit us in the sunny South Chilcotin Mountains and become a part of this wonderful wilderness by learning new skills and creating thousands of unforgettable memories! Wildlife viewing provides unique memories!